Description: an Emu sits on top of a Castle Tower. The emu represents the local creek, mountain, nearby towns and our beloved football netball clubs. The castle represents the town of Skipton in the UK. Known for its elaborate castles that date back to medieval times. The tower is also built on bluestone rock which adorns many of our own buildings in town. Below the Skipton name is the Shield. This shield is made up of three parts: firstly, the iconic image of a platypus, which dominate our creeks and waterways, secondly the image of a field of canola flowers, and finally, the image of a sheep. Both important industries for our region and probably what we are best known for in terms of agricultural farming. The two Horses on either side represent the Town's strength and agility in terms of our love of equine recreation. The two flags represent modern day Australia as well as honouring the traditional owners of this land. 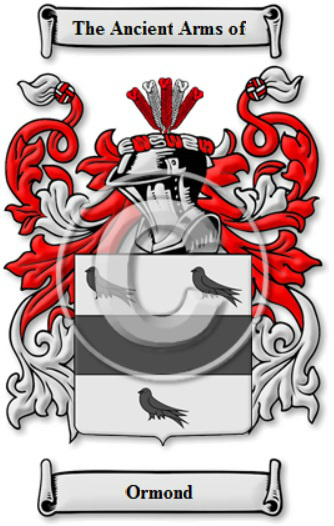 The Ormond family Coat of Arms. 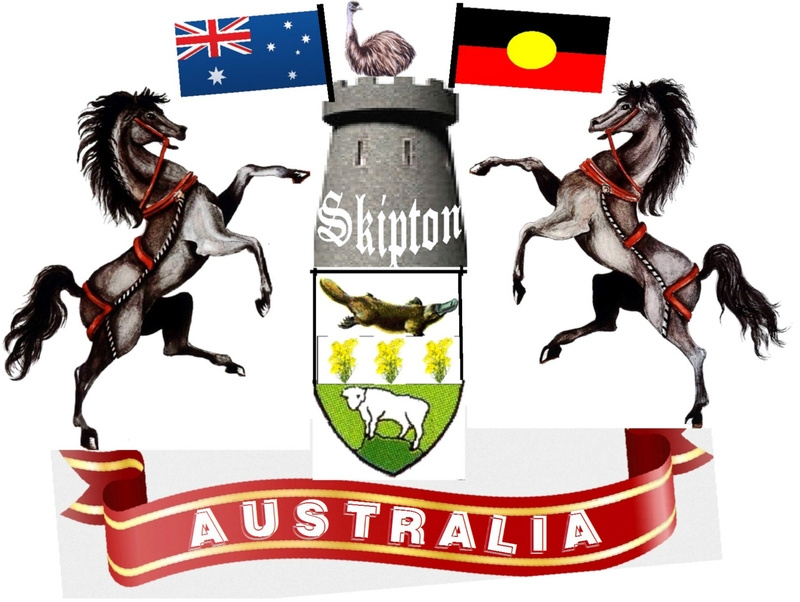 The Skipton Council's Arms is based upon the families who settled there in the beginning. Namely the Clifford and the de Romille families. 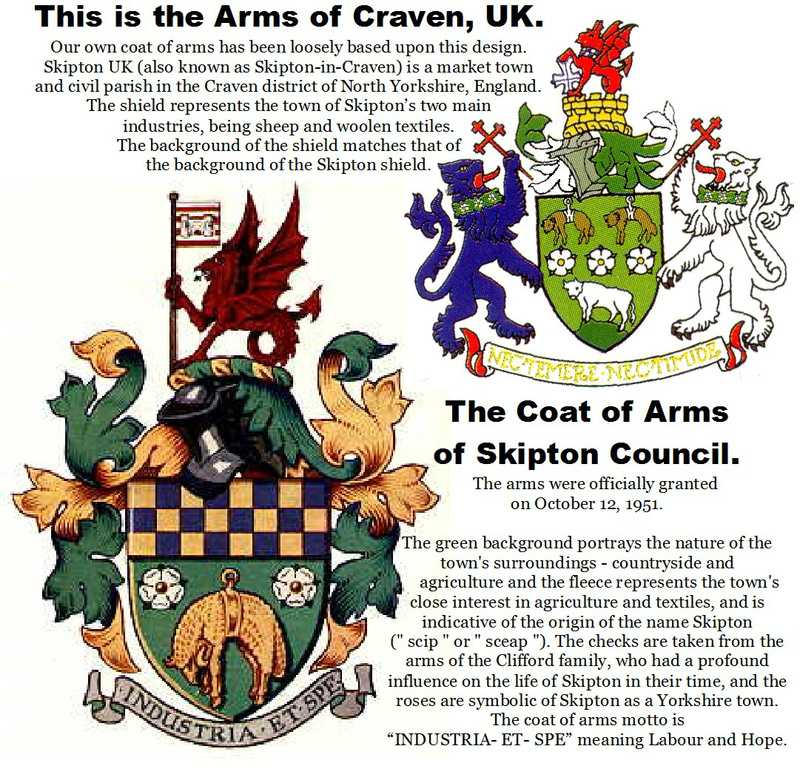 The checks and the wyvern on the Skipton Coat of Arms come from the Clifford family crest, and the bars on the banner represents the de Romille family in whose arms it appeared. Robert de Romille is believed to have founded the Church and the Castle in the 11th century. The Castle is shown to indicate that Skipton is a Castle town. With this in mind, should we not include the family crest of Francis Ormond?